It’s our human nature to regret the past – a mistake we made, a decision we should of made or a chance we didn’t take. We weigh ourselves down needlessly with guilt and blame over a past we cannot change. But what’s done is done. The past is past. The more we ruminate over the past, the more we fuel our negative feelings from the past, projecting them onto our future. The destructive ‘what ifs’ creep in and we worry ourselves into a frenzy over an obscure future that is yet to happen. In the midst of all this frenzy of worry, we forget the one thing that is the most important, that will move us from past to future – our desired future that is bright and alluring, the thing right in front of us – the present, a gift. The present is what matters, what makes our lives. So make the most of now and embrace the present with a grateful heart, ready to take on the future when it comes. Raise your glasses now, to welcome the new year! I love your writing and I agree. The past also made us who we are today. Is the city in the photo Hong Kong? 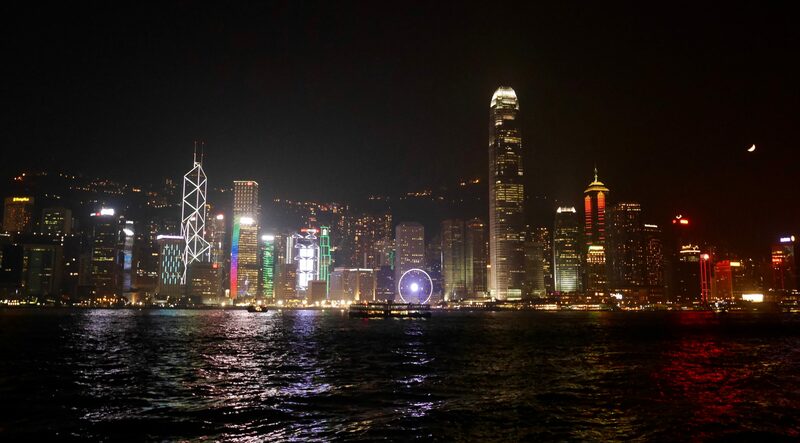 Yes it’s Victoria harbour in Hong Kong!